Although my mom, grandma, and aunt were all nurses, and my brother was a doctor, I had no intention of going into the nursing field. That all changed when I was working as a transporter, after taking the same patient for treatment every day for a week, she asked if I could come with her when she met with her doctor. That experience showed me I wanted to help and take care of people. 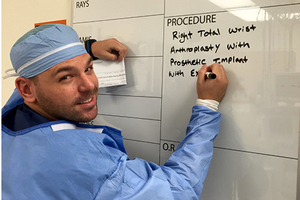 I began my medical career with on the job training and eventually becoming a certified anesthesia technician. 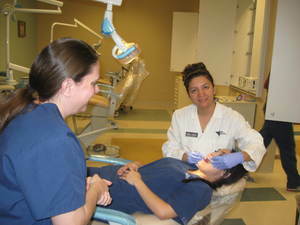 I had been on a waiting list for a nursing program for 3 years when a friend told me about Pima Medical Institute's program. I was able to start right away and the smaller classes and knowledgeable instructors made it a perfect fit for me! A week before school started, I had a house fire, so for the first 9 months I ended up living in a hotel. Although it was very tough, I always had the sense that the instructors wanted me to succeed, not because they wanted the school to look good, but because they cared about me as a person. Since graduating I've been working at St Joseph's Hospital as a surgical nurse. I plan to get my bachelor's degree. I'm even considering continuing on to become a nurse anesthetist. I'm so thankful to all my instructors for sacrificing their time and energy to make me the best nurse they could. 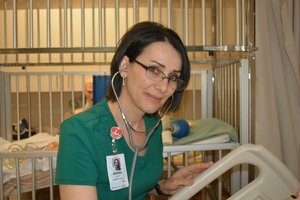 I'd highly recommend PMI's nursing program. It may have been a winding road, but I'd definitely do it all over again. My medical career started back in high school when I had the opportunity to become a Certified Nursing Assistant. After serving 10 years in the army, I decided I wanted to get back into the medical field, so I found PMI and enrolled in their Medical Assistant program. After 6 weeks, I quit. Transitioning from the military to going back to school after having been out for so long was really tough for me. One day I stopped back at the school and one of my instructors pulled me aside and encouraged me to come back. I decided to return and give it one more shot. I ended up loving the hands on training in the classroom. Heading into a new job as an MA, I felt ready and prepared thanks to my instructors. After graduating, I decided I wanted to continue my education. I had a family to support and needed to work full-time, and PMI's online program allowed me to do both. Balancing work, family and classes was a struggle, but it was definitely worth it. I found my classes to be applicable to my job as an MA and I am proud to say I recently completed my associate's degree in Health Care Administration. I don't want to stop there, so I've just started school to become a registered nurse. I want to say "Thank You" to all my instructors; if it weren't for them, I wouldn't have come back to school and I wouldn't have a career I love. I was born in Uzbekistan and at age 7 my family and I were forced to escape to Russia. We lived as refugees there and life was very difficult. We had no access to healthcare and I was not allowed to go to school past the 9th grade. In 2005, we moved to the United States and, although I struggled with the language and cultural differences, I very much appreciated the opportunities this country provided me. 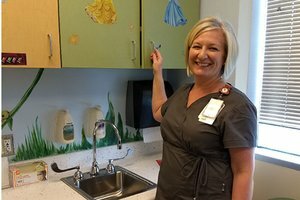 I have been dreaming about working in healthcare since I was a little girl. My husband knew my dream so he helped me find Pima Medical Institute and signed me up for their Phlebotomy program. My life was changed forever! 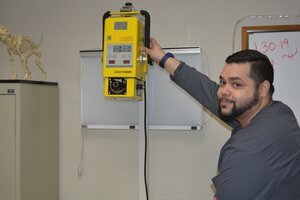 I was able to get a job at a level 1 trauma center and help my family. In my position, I was able to observe the respiratory therapists help people and even save lives. So, several years later I came back to PMI and enrolled in their Respiratory Therapy program. English is my fourth language, so it was not an easy journey! Often I was in class all day, cared for my family in the evening and helped my children with homework, and then stayed up all night studying. I wanted to be successful and make my family proud! I could not have made it and been successful without the help of my PMI instructors. They taught me so much! Today, my dream has come true and I'm so thankful for the support of my family and my PMI family and this country that has given me such a wonderful opportunity! I go to work each day with a smile on my face. I never ever thought I would be in the medical field. I became a personal trainer and opened up a gym when I was 20 years old and I was involved in other businesses and projects for a number of years. But, I just felt like it was time for a change. I wanted to make a difference so I decided to become a Medical Assistant and, in the process, I fell in love with the medical field. 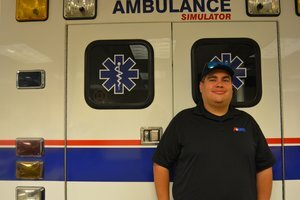 I'm a researcher at heart so I had explored a lot of schooling options, but once I visited Pima Medical Institute I knew I'd found the perfect fit for me. I liked their schedule. I was able to work one of my businesses in the morning, attend class in the afternoon, and work my other business in the evening. I loved the faculty and I graduated with a 4.0 GPA. They did a fantastic job placing me with an orthopedic oncologist for my externship experience. After only one week, they offered me a position and I've become passionate about the field. There are four surgeons in my clinic and, since there are no nurses, the MAs do everything from removing staples and stitches, to wound care, and charting. We are the surgeon's assistants and my days are never boring! I'm currently continuing my education with PMI's online Health Care Administration program. My ultimate goal is to get into PA school and, hopefully, work in Orthopedic Oncology. 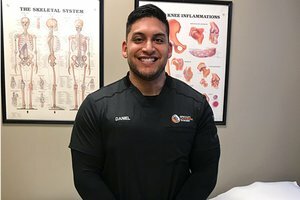 PMI gave me my start and I'm excited about my future in the medical field! I was a high school dropout. My husband and I had a baby, we held random jobs, and we struggled. After working in retail for 10 years in the exact same position, I realized I needed to make a change. I chose to go into the medical field because it's a growing field with a lot of opportunities. 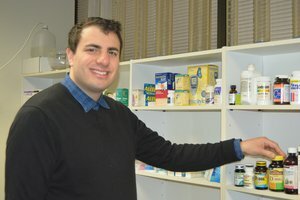 I had heard about Pima Medical Institute and their great reputation, so I began researching programs they offered and enrolled in their Pharmacy Technician program. I rarely showed up for class in high school, but I knew I had to make school my priority now. What I found is that the instructors at PMI make it so interesting, you want to come to class. There's so much passion in that place. They love their students, you can feel it, and I actually enjoyed going to class each day. Not only that, but once I got into the program, I realized it is about way more than counting pills or processing insurance. It's about helping people, and that's what I enjoy doing! 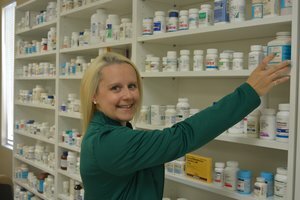 When I process medications, I know I am helping someone's grandma or baby sister get better. I just love my job! I ended up being assigned to a major hospital for my clinical experience, and only eight days into my externship, I was offered a part-time job. A month later, I was offered a full-time position. I am currently working for Dignity Health and one day I hope to continue my education in the medical field, but for now, I absolutely love what I am doing! 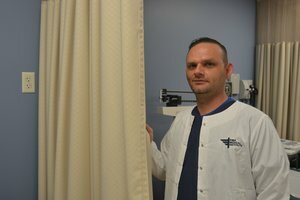 I already had my associate's degree in Radiography and was looking for an online bachelor's program for Radiology when I found Pima Medical Institute. 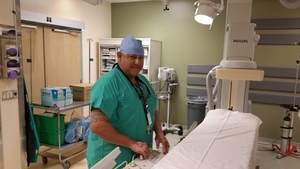 I chose PMI's Bachelor of Science in Radiologic Sciences program because it was all online, it was set up for me to go at a pace that allowed me to continue to work full-time and they accepted my associate degree credits. I had a great experience! My instructors were excellent! Up to this time, my only experience had been typical on ground classes, so there was a bit of an adjustment to learning online. But, the thing I appreciated most about my education at PMI was my instructors' willingness to help and accommodate my needs. 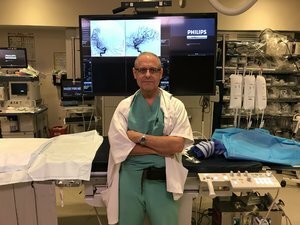 I am currently an Interventional Radiologic Technologist and I've been working for the same employer since getting my associate's in 1986. I look forward to continuing my work in Radiology and hope to move toward education and opportunities to teach. I received a great education from Pima Medical Institute and would highly recommend them to others looking for a bachelor's degree. I want to say THANK YOU to all my online instructors for their help in advancing my education.